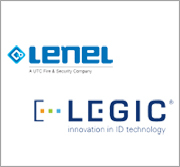 Entertech Systems’s new BioConnect application has received Lenel Factory Certification, a distinction which certifies it to integrate with Lenel’s OnGuard access control security system through the Lenel OpenAccess Alliance Program. Entertech is an operating partner for Suprema’s biometric line of products, and its BioConnect app enables systems integrators and users to apply Suprema’s BioStation T2, BioStation, BioEntry Plus and BioEntry W products in access control or time and attendance systems. This integrating application eliminates the need to maintain separate access control and biometric template systems when using the Lenel access control product and a Suprema biometric solution. BioConnect and Suprema’s biometric products are available through Entertech for the U.S., Canadian and Puerto Rican markets.